“New Year, New You!” “Get Ready, Get Set, Change!” “10 Days to a Completely New You!” Have you heard it yet? It’s a new year and you are supposed to change all your old, bad habits. You’re supposed to get motivated and start those workouts. You’re supposed to get in your cardio and your strength training and your yoga and your meditation and…and..and..! Chances are you actually DO want to do some, if not all, of these things. But the list is long, the ideas are vast and the information is simply overwhelming. So overwhelming, in fact, that the motivation turns into procrastination while we sift through the options not really knowing which way to turn. 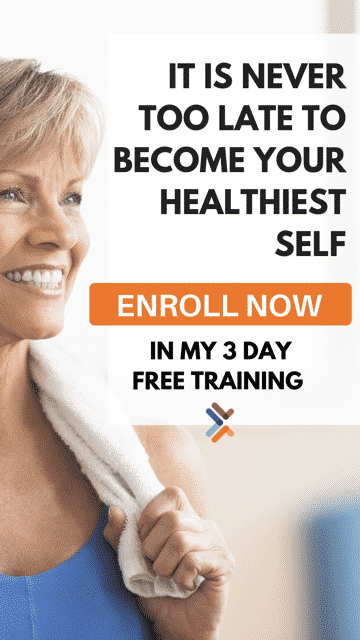 Well, my friends, here at Get Healthy U, we do believe that change is good, but we are real people with real lives and we understand the real you. Keeping it short and simple is really the only way you’re going to get it done and actually stick with it. So we have put together this January Jumpstart to get you started, to ignite your motivation and to kick that stubborn metabolism into overdrive! This challenge, which can be done at home or anywhere, will give you one new 15-minute workout per week. Just one! You can do the workout 2-3 times during the week and it will only take you 15 minutes. We’ve kept it simple: six exercises, 45 seconds a piece, with 15 seconds rest in between. That’s it! You do your six, repeat one more time for a 15-minute workout, and then call it a day. If you don’t have a timer, I’m obsessed with the Tabata Pro Timer App because you can set intervals without having to get up and stop your normal phone timer! Starting with just body weight, each consecutive week will present a new tool to use to help keep boredom at bay. We will then grab some dumbbells, move to a resistance band and finish strong with a stability ball. Enjoy the challenge. Enjoy the newfound energy. Enjoy the sense of accomplishment you have for actually sticking with your goal this time! Here we go. Start with this easy three-minute warm-up: For one minute, lightly squat down and up like you are sitting back in a chair and then standing. For the second minute, jog lightly or march. Finish the warm-up with one minute of jumping jacks then go directly to the first exercises. B) Lower your hips to a push-up position. When your hips are parallel with the floor, perform a push-up. When you finish the push-up, raise your hips back up the position where they began so your body once again forms an inverted V.
C) If you struggle with the full push up, lower your knees during that portion of the exercise. Perform for 45 seconds. Rest for 15 seconds and move to the next exercise. A) Stand tall with your feet hip distance apart. Take a large step backward with the right foot and lower your body toward the floor. Both legs should be bent at a 90-degree angle at the bottom of the lunge. B) Straighten your left leg and kick your right foot forward to hip height or higher if possible. Step back to the lunge again and repeat. Repeat for 45 seconds then rest for 15 and go directly to the next exercise. A) Start standing with feet hip distance apart and lower into a squat position by bending the knees. Keep the spine straight, chest lifted, and knees behind toes. Arms are in front of the chest for balance. Continue to jump for 45 seconds and then rest for 15. Go directly to the next exercise. A) Stand tall with your feet hip distance apart. Take a large step backward with the left foot and lower your body toward the floor. Both legs should be bent at a 90-degree angle at the bottom of the lunge. B) Straighten your right leg and kick your left foot forward to hip height or higher if possible. Step back to the lunge again and repeat. B) Bend your left arm so that it is now in forearm plank position. C) Then bend your right arm so you are in a full forearm plank position. D) Lift your left hand and place it on the mat directly below your shoulder as you push through your palm to lift yourself. E) As you reach the top, place your right palm on the floor under your right shoulder and push back into a full plank. Repeat, leading with the right arm. Continue moving up and down for 45 seconds. Rest for 15 seconds and move on to the final exercise. A) Start seated with knees bent and feet flat on the floor. Keeping core engaged, lean torso back to a 45-degree angle from floor and extend right leg 2 inches off floor. B) Explosively pull torso back to upright position while pulling right knee toward chest. The motion looks somewhat like you’re sprinting. Repeat on the other side. Repeat for 45 seconds and rest for 15. Now, go back to the top (skipping the warm-up) and repeat the exercises one more time for a full 15-minute challenge! Looks good. But not for an 86 year old woman who needs to restart an exercise program. Can you recommend a safe but challenging routine or website with my age group in mind? I know, I know. Who's going to take a chance on recommending exercises for 80+ yearolds? Well, how can you be sure the exercises you recommend for younger people are always suitable? Looking forward to hearing from you.